Wait a minute? Is that right? I also can’t believe that I haven’t written about today’s no-no years ago, that it’s taken this long. It just so happens National French Fry Day is this Fryday, I mean Friday, July 13, but that’s just a coincidence and is not why fries are the topic this week. 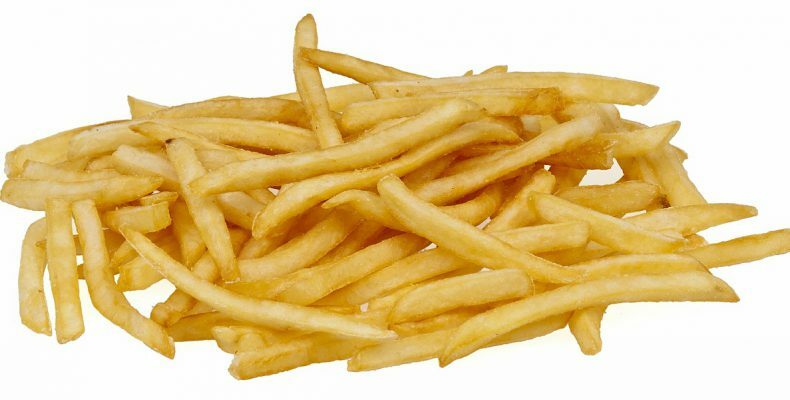 French fries originated in Belgium. During World War I, American soldiers stationed there ate them for the first time. Because the official language of the Belgian army was French, voilà, the American soldiers began to call the fried potatoes French fries. Here’s a great question. Who makes the best French fries? The Daily Meal took on the challenge this past March. How did they describe the perfect fry? There’s the crunchiness element, for sure — that crisp exterior texture that isn’t greasy or soggy, achieved through a perfectly-timed fry (or two, and sometimes even three) in fat that’s just the right temperature. Then, the soft, fluffy interior, filled with potato that’s cooked through but not dried out or raw-tasting. 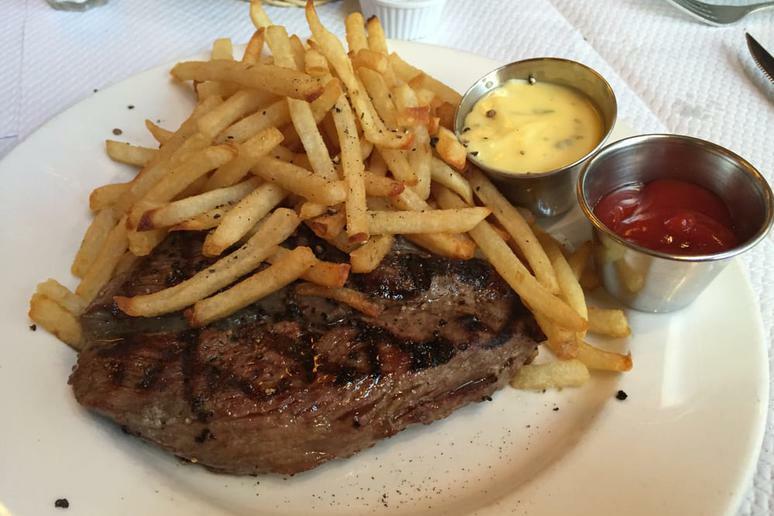 The color also comes into play — the best fries have that mouthwatering golden-brown hue. The Daily Meal first examined fries from several hundred restaurants across the country and finally narrowed their choices down to the 50 best restaurants for fries in America. Note, these are not chains like McDonald’s. Bathazar in NYC topped the list. And what about those massive chains? Business Insider did a ranking this year. So did Foodbeast. The Point After Sports Pub and Grille right here in Franklin. Add up every single French fry place mentioned thus and the total is 62. And I’m willing to bet I would love each and every one of them. But there’s a major problem with all of them, too. And it’s not their fault. Unfortunately it’s just the way it is. None of those fries, none would reheat well. Just not possible. The problem is most likely the microwave. Due to the vagaries and unevenness of most microwaves, reheating fries usually results in a soggy, limp mass and/or burnt ends. The oil ends up tasting rancid, too. No wonder those leftover fries usually end up in the trash. Reheating French fries tends to work best with restaurant-quality fries and within a day or two of their original creation. We’ve experimented with reheating fast-food fries, and those don’t hold up well to reheating in any form unless you’re doing it the same day you bought them. My guess is that the oil in fast food joints isn’t terribly high quality when giant batches of fries and who knows what else are being cooked in them. We’ve never had luck with leftover fries no matter where we got them. I don’t think there’s a microwave, oven, or stove in the world that can perform what should be a rather simple fix, but instead requires something close to miraculous. Microwaves have been around since 1945. Now it’s 2018, and a new food trend has complicated matters. The NY Times just wrote about Lamb Weston. Founded in 1950 as a small family business, it’s now one of the world’s leading suppliers of frozen potato products. The bar has been set even higher. The New York Times reports Lamb Weston wants to preserve crispness for 60 minutes. If successful that would be a dramatic transformation from a no-no to a yes-yes. Ketchup was the subject of our first Culinary no-no. CBS News just reported on the popular condiment. Thanks, Kevin for the nice mention of our fries at the Point After. Always a thrill to get some kudos and more importantly, we appreciate your support of Franklin businesses! Hope to see you, Jennifer and Kyla soon! We’ll be in. Count on it. That coating on your fries is great. I always dunk the fries in my tartar sauce. No, that is NOT a no-no!